The TC-08 thermocouple data logger offers industry-leading performance and a cost-effective solution to your temperature measuring needs. The TC-08 connects to the USB port of a Windows based PC and enables the host PC to automatically detect the TC-08 - avoiding the need for any complex setup procedures. The USB connection also allows the TC-08 to be powered directly by the USB bus - eliminating the need for an external power supply and making the TC-08 ideal for measuring temperatures both in the lab and in the field. With the TC-08 thermocouple data logger your measurements can be made both fast and accurately. The low conversion time of the TC-08 means up to 10 temperature measurements can be taken every second. Whilst the high (20 bit) resolution ensures that the TC-08 can detect minute changes in temperature. Temperature data acquisition with the TC-08 is very easy - simply plug the TC-08 into a USB port on your computer, connect your thermocouples, and you are ready to measure temperatures. The easy-to-use PicoLog data acquisition software is supplied with the TC-08 - allowing you to start measuring and recording temperatures with the minimum amount of effort. The intuitive user interface of PicoLog makes it easy for you to set how frequently you want to take a measurement, and the number of measurements you want to take. We offer a wide range of thermocouples, as well as Wall Mounted Thermocouple Air Temperature Sensors, for use with the TC-08 logger. UKAS calibration is optionally available at extra cost, either of the unit on its own or with thermocouples as a system. Please contact us for more details. Note: That the input channels are not isolated from each other and may give incorrect readings if their thermocouples are not electrically isolated from each other (e.g. exposed junction thermocouples on the same metal object). Unless specified otherwise, TMS Europe's Mineral Insulated Thermocouples have an insulated junction and will not cause an issue. 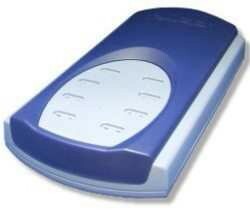 TMS can also supply more sophisticated data loggers and recorders that don't suffer from this limitation.